So I just did a pair of articles on marketing, which hopefully you read and which hopefully were able to help guide you along. However you need to be able to understand what this marketing plan represents and why it is important. While it certainly can seem self evident at times and have a major impact on your career I think that there are some simple things that should be clarified in order to help you use your marketing plan to the greatest potential. We discussed this in brief in the previous articles but I’d like to spend the time to properly understand everything that these plans can entail. After all – if you’re going to spend the time to create a twenty to thirty page document then you might as well take the time to properly understand all that it can represent for folks trying to grind it out in the underground like you and me. The music industry is a struggle, but the marketing plan is a key step you can make in order to fight for a better future. What’s key to remember is that your marketing campaign is supposed to be a document that needs to be constantly edited and revised upon itself. It’s a document that you need to use as a guide but also one that needs to remain realistic and deal with the changing future and opportunities within your band. A static plan is almost as useless as having no plan. You need to be able to use plans like this in order to craft a future. Everything about this industry is in flux, almost constantly as luck would have it. Because of this we need to respect the changing nature of bands and instead embrace the dark realities that this might make for. In short – you need to be willing to update and evolve your plans based on what works and what doesn’t, what you can afford and what you can’t. Because any template will have situations you can’t account for it means that you can’t be afraid to play with these models in order to create and evolve your future. Remember that when it comes down to it your marketing plan is set up in order to help you and you alone. It’s all about orienting yourself in your career. Your marketing plan is set up in order to figure out where you fit in to everything. If you don’t take advantage of what’s been presented to you then you will be lost, like the metaphorical child wandering into a film. You need to use it as a road map – and not just by spending a lot of effort on the timeline, but also working on where your brand is going to fit in to the industry. Marketing is all about finding your niche, your unique place and what will make people want to invest their time and energy into what you’re doing. If you don’t have a plan for that then you’re not really going to know what direction to go in next. It’s not always about long term planning (More on that later) but more the general flavor that you’re trying to set up for your band as a general brand. That being said, long term planning is certainly a key part of a marketing plan. It’s something that by being able to orient yourself in the market is going to be much easier. The thing is it’s easy to figure out the next 60-100 tings your band needs to do. But sometimes it doesn’t always make sense going far beyond that. Having a general idea of how you are trying to move forward is key when you look out and try to create quarter by quarter and then year by year plans. Sometimes these things can be difficult to really foresee, but having a strong marketing plan that shows every aspect of what you might be interested in is going to drive your band forward. Developing a series of marketing ideas and promotional plans is going to allow you the opportunity to look far deeper into the future than many of your peers might be able to and in turn allow your brand to really shine and hint at a lot more possibilities. It’s going to generate options of the sort that most bands could only dream of. Perhaps most importantly, if you have a professional looking marketing plan that you can share with businesses then the odds of you finding an investor and endorsement deals are going to astronomically rise. People in business have a fairly closed off understanding of the industry at times simply because the world of underground music is so separate from the average human experience. It’s not up to them to come to terms with you and try to understand what you are delivering, it’s up to you to figure out how to approach them in the most effective way. You need to be able to stick up for yourself and show that even now the world of underground music is something that can interact with the rest of the world. The odds are against you – but if you have a professional looking plan then you are going to be far more likely to find the opportunities and crossover potential that you want to have and the crossovers that will end up making you a lot more money. 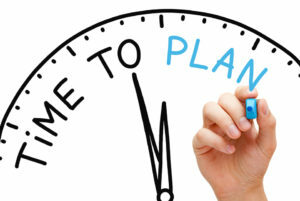 When it comes down to it, a marketing plan is a sort of visionary statement. A definitive look at what you think is possible for your project. If you don’t have one then you are rapidly going to find yourself falling apart at the seams. When it comes down to it a lot of bands suffer because they have a lack of direction, and while creating a marketing plan might be hard it’s also a great way to drive yourself forward. There is always going to be a struggle in the music industry and you need to get the most tools possible to drive you forward. There is only so much that we can consistently rely on to make things work in the wild world of music and as far as I can tell this certainly seems to be one of the main ones, so why don’t you get on it?